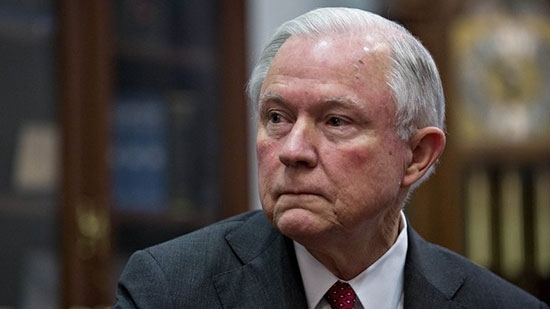 A federal judge ruled today that the Department of Justice cannot withhold JAG grants from cities that do not meet a new list of immigration conditions set forth by Attorney General Jeff Sessions. 'Sanctuary cities' don't follow those policies and would certainly risk losing grant certification. The two biggest conditions include 1) allowing immigration officials access to jails 2) notifying immigration when an illegal immigrant will be released. Chicago, Los Angeles, San Fransisco, and Philadelphia all have filed suit to stop the DOJ. U.S. District Judge Harry Leinenweber has granted a temporary "nationwide" injunction. The DOJ can't deny Edward Byrne Memorial Justice Assistance Grants based on those immigration conditions while the lawsuits play out. Philadelphia Police are now investigating 4 separate luring attempts of young girls in the Frankford neighborhood. Three of them happened on Friday morning in the 8 a.m. hour, the other occurred on Thursday morning. The suspect described in each incident is similar but with some slight difference in the details. Each man is described as 30-40 years of age and driving a black vehicle, alternately white or hispanic, with or without facial hair. On Thursday around 8 a.m., a man was seen taking photos of children in a school yard on the 5300 block of Ditman Street. On Friday around 8 a.m., a man drove up to a 10-year-old girl, showed her money and a camera and asked if he could take her picture. She ran off to school and notified staff. Around 8:10 a.m. on the 5300 block of Jackson Street, the same thing happened to another girl and she also reported it to teachers. Close to 8:45 a.m. on the 5300 block Gillespie Street, a man called a third 10-year-old girl to his car. He began to unzip his pants and she ran off to school. Anyone with information should contact Special Victim Unit at 215-685-3252. UPDATE: Two more incidents have been reported bringing the total to 6. On Wednesday, students at Watson Comly School reported a suspicious man standing outside of school. On Tuesday afternoon, several students were approached by a man in a dark vehicle on the 400 block of Tomlinson Road. He offered them cash if they got in the back seat. They all ran away. The retrial for Bill Cosby will begin on April 2nd, 2018. It will be held once again at the Montgomery County Courthouse in Norristown, PA. The first trial ended with a hung jury in June.